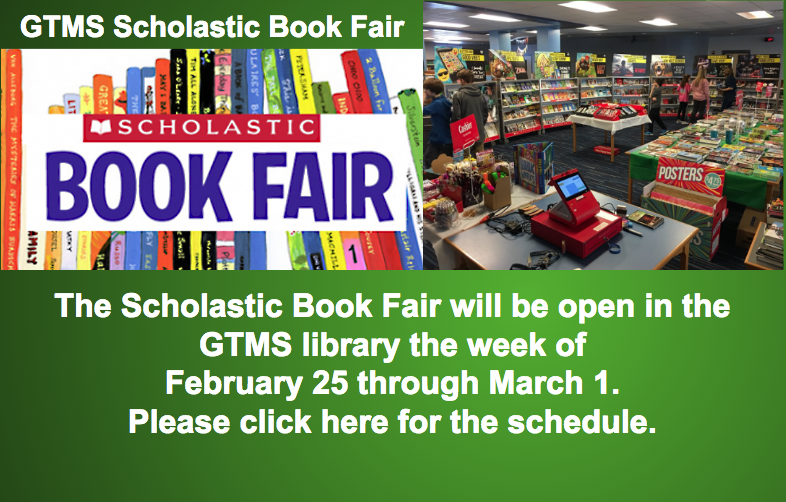 Please support our Scholastic Book Fair that will be open in the GTMS library the week of February 25 through March 1 from 7:30am through 2:30pm. Please click the image above to see the schedule. 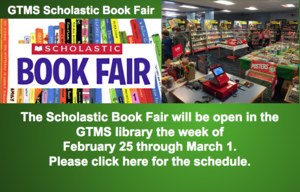 Friday, March 1: Open to students from 7:30am - 9:20am. Click here to watch BOOK TRAILERS!